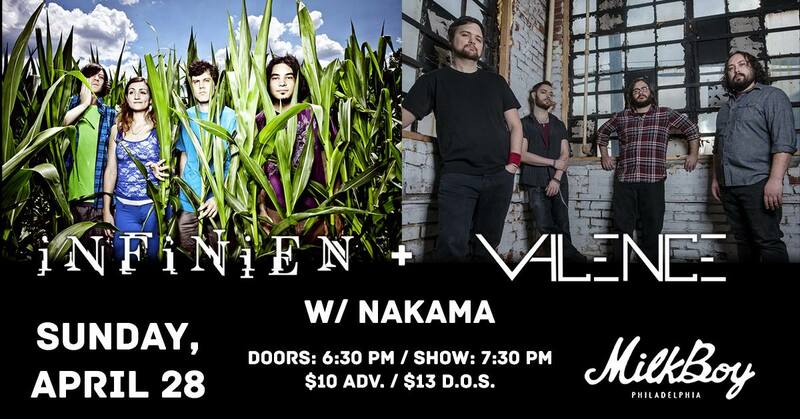 This week we're giving away a pair of tickets to see prog fusion masters iNFiNieN with Valence & Nakama on Sunday 4/28. A winner will be contacted Friday 4/26. Good luck! A winner will be contacted Friday 4/26. Good Luck!